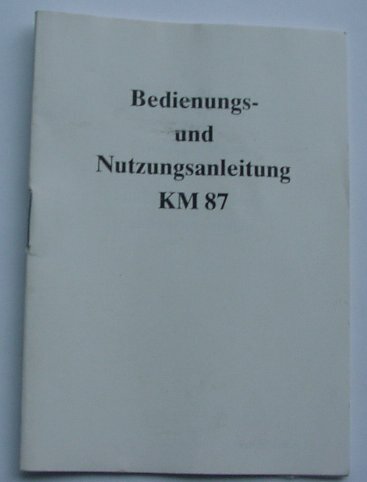 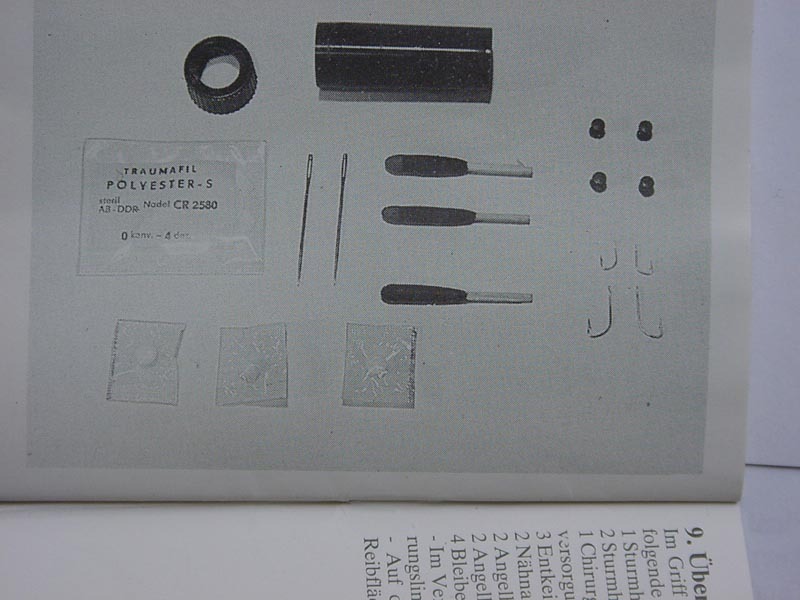 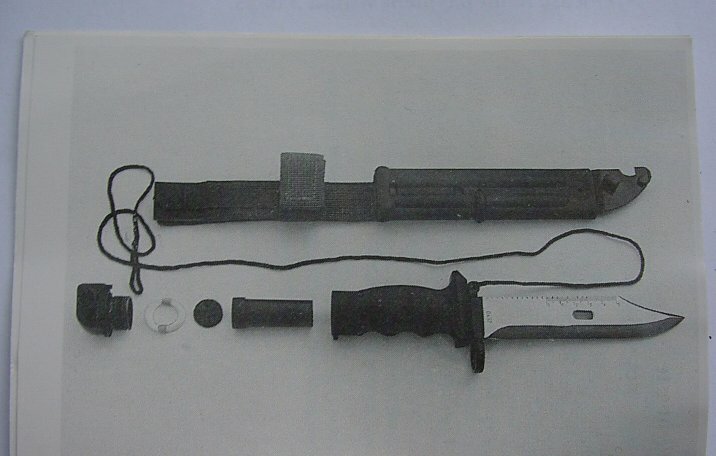 Small Booklet supplied with bayonet (has matching serial number of bayonet written on back), with several pages reproduced, including one showing the small container unpacked. 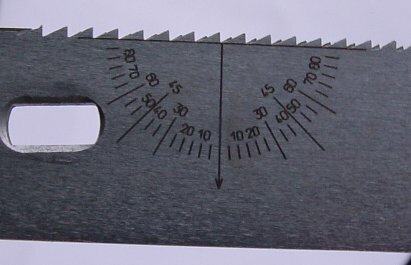 These pictures show the top of handle unscrewed and the small container removed, the protractor on one side of the blade, the other side has a 5cm ruler. 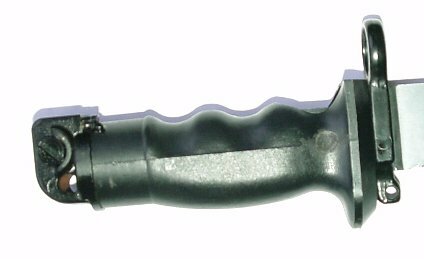 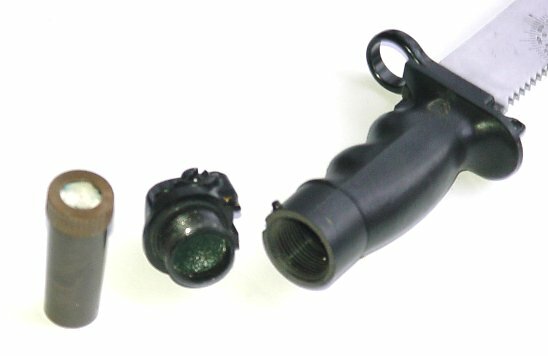 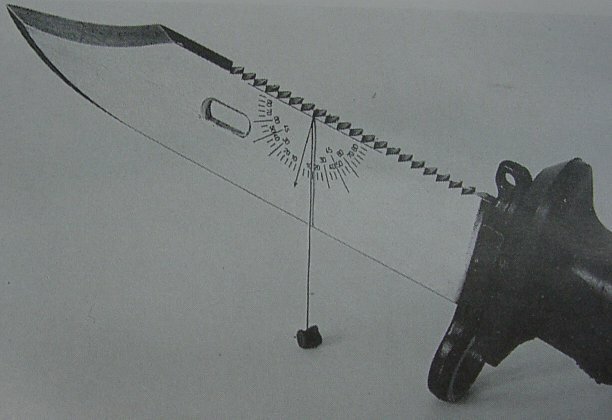 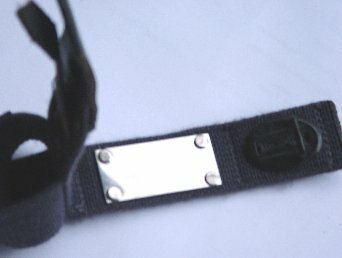 The final picture shows the signal mirror contained on the scabbard frog.